Imagine driving on your favorite track and being seconds faster. No more wondering why you were faster on some parts and not others. No more watching others pull away after a turn. Now you are the one people want to beat. It's easier than you think - with the right training and knowledge. The Keys to Speed is a collection of training material that will show you how to turn faster laps. It's an online racing school designed to make you more competitive in racing titles like Forza Motorsport®. We cover all of this and more in detailed video lessons. Keys to Speed also includes a 30-day money-back guarantee. The only thing you have to lose is time on your laps. "The techniques have shaved 5-8 seconds off of my lap times. Can't thank you enough!" I guarantee what you learn in the Keys to Speed will make you faster. You are getting the same information taught in racing schools plus more detail and explanation than you could cover in a single day or two. It's all here and accessible wherever and whenever - watch on your computer, tablet or phone. Think of it like going to racing school from the comfort of your home! How do you know it works? Everything you will learn has been proven on the real and virtual track. And the Keys to Speed includes commentary from the fastest virtual racers in the world. They explain, in their own words, how the techniques you learn make them the fastest drivers. Whether you are just starting out or have been into simulation racing for a long time, you deserve to unlock your full potential. Enroll now and become the racer you always wanted to be. 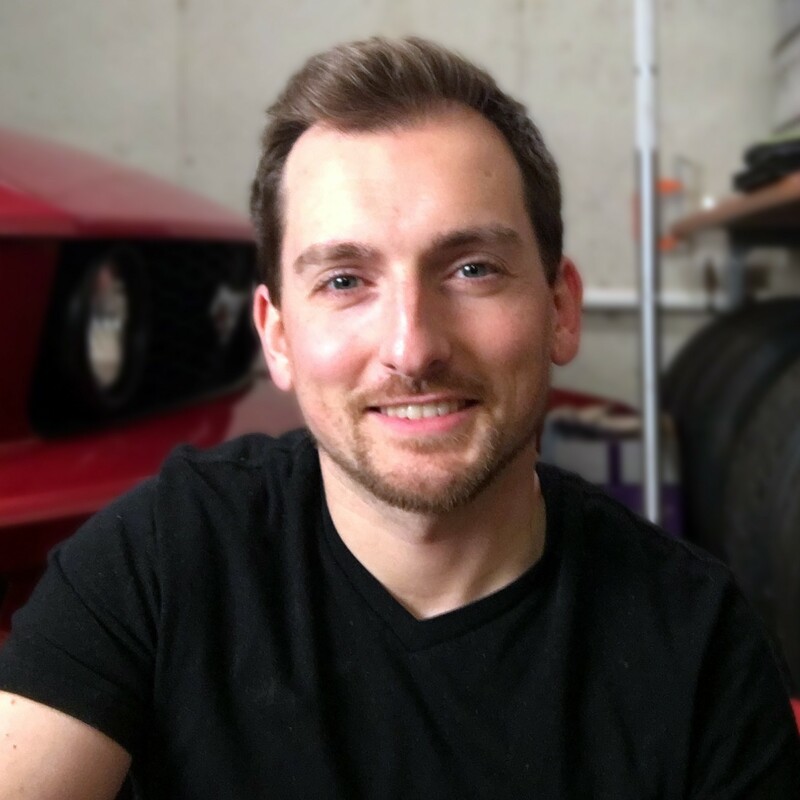 Anthony Curtis is the founder and principal instructor here at Gallium Racing School. You probably know him as the creator of ForzaTune. Since the late 90s Anthony has spent countless hours studying the physics, strategy and mindset needed to drive well and turn better laps. His favorite series is Forza Motorsport where he spends way too much time at Mazda Raceway Laguna Seca. Gallium Racing School is his way of sharing the racing and tuning tips he wishes he had 15 years ago. Anthony is an engineer and has taught at the university level. He also hosts an automotive how-to channel with over 3.3 million views. You can count on him to make hard topics easy-to-understand, and fun to learn. Includes all videos, downloadable cheat sheets and access to student discussion. Includes all course material plus 1-on-1 coaching. You get everything in the Keys to Speed plus two 30-minute coaching sessions. Get specific, exact feedback on your laps and driving in real-time (via Twitch streaming or similar).